With two stopovers in KLIA2, my friend and I initially thought to use our time out of the airport. We thought of going to Kuala Lumpur to get around the city again and perhaps see the Petronas Twin Towers. But then we realised, with almost three hours travel time to go to the city and then back to the airport, our time wouldn’t be enough. We might end up rushing. So instead of heading to city, we just spent the night at the airport. Kuala Lumpur International Airport 2 or simply, KLIA2 is one of my favourite airports in Asia. It is huge and the airport has superior facilities. There are shopping stores, restaurants, lounges and seating area to name a few. 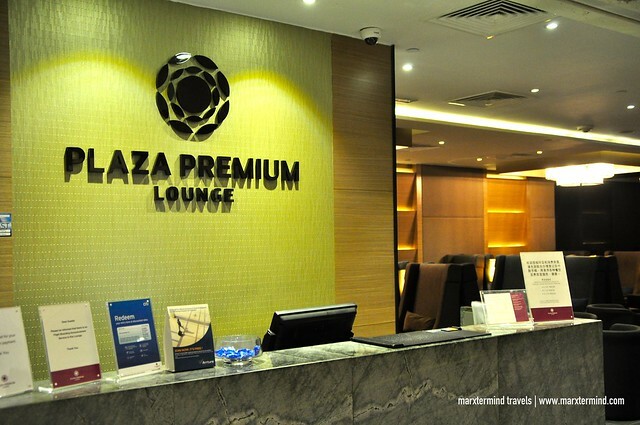 So we searched for some places that we could spend for hours and there we found out about Plaza Premium Lounge. We tried this paid-to-use facility in our two stopovers in KLIA2. We stayed at the one located within the new gateway@KLIA2 shopping facility in the arrival area. 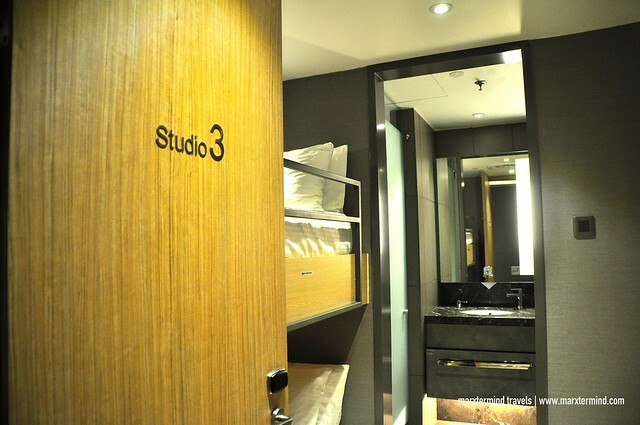 Plaza Premium Lounge at gateway@KLIA2 provides private resting suites of different types with en-suite bathrooms. The lounge has comfortable seating area and serves a range of food and beverages. There are also business centre, workstations and shower facilities. Wi-Fi connection is also provided. Because we needed to sleep before our next flight, we stayed at one of their resting areas. We had a studio room. It was pretty small but it was comfy. We stayed for 6 hours. The room is air-conditioned and has one bunk bed that sleeps two. It has a private bathroom with full bathroom amenities. 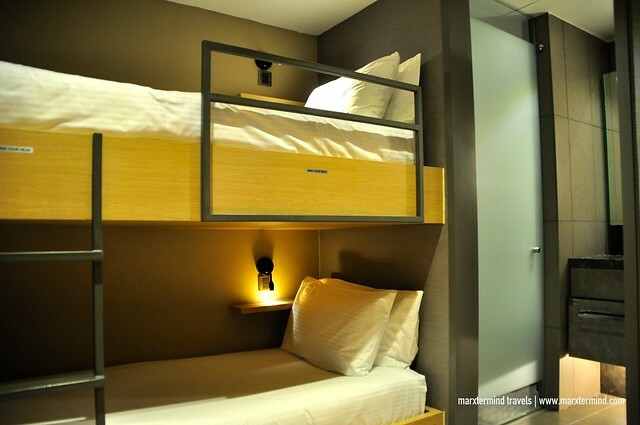 Each bed has its own charging outlet and bedside lamp. Aside from studio room, they also have other rooms good for families, group of friends or singles. Rate starts from RM 53 ($13) per hour based on a 3-hour package. You may also check room rates and availability here. We stayed in a resting suite so we were able to enjoy the lounge facilities as well. The lounge serves great choices of food and beverages. They have main course that varies during breakfast, lunch and dinner. Food serves in buffet style. We were able to sample their noodles, rice meals, bread and pastries. They also have cereals, soups, sandwiches and other snacks. Flight updates are also being displayed inside the lounge. There are also TV and reading materials that you can use. Power outlets are also available to charge your electronic devices. We find it truly convenient staying at Plaza Premium Lounge. With good sleep and good food, I can say that I enjoyed my layover at the airport. It was in our second stopover in KLIA2 when we tried The Green Market for lunch. Plaza Premium Lounge is also managing the restaurant. Located at the departure hall, The Green Market is a modern, casual Japanese and Korean restaurant serving all-day set menus as well as à la carte breakfast and afternoon tea items. 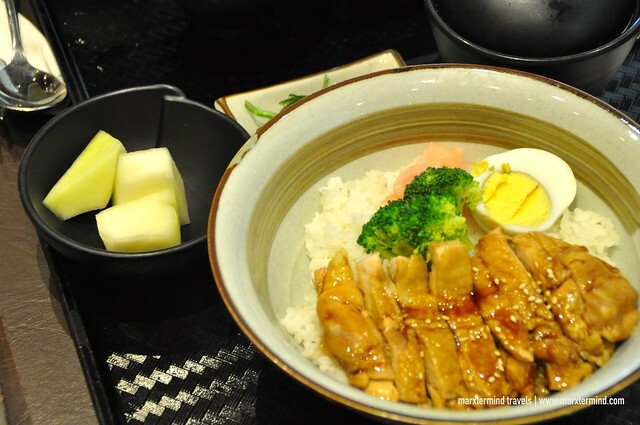 The restaurant offers top-notch Japanese and Korean cuisine. These cuisines are freshly prepared. We ordered Salmon Salad to start our meal. 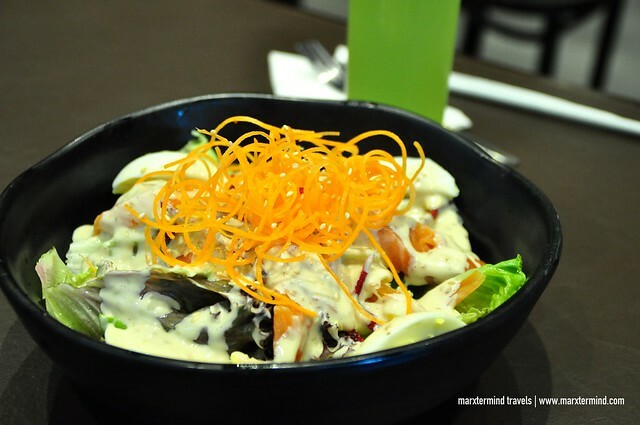 It has fresh salmon slices with greens, topped with roasted sesame dressing. It costs RM 22 ($5) and is good for sharing. We then ordered Bento and Donburi meals for our main course. My friend had Tori Shogayaki & Kabocha Korokke, which is a stir-fried chicken with ginger sauce and pumpkin croquettes. It costs RM 40 ($10). 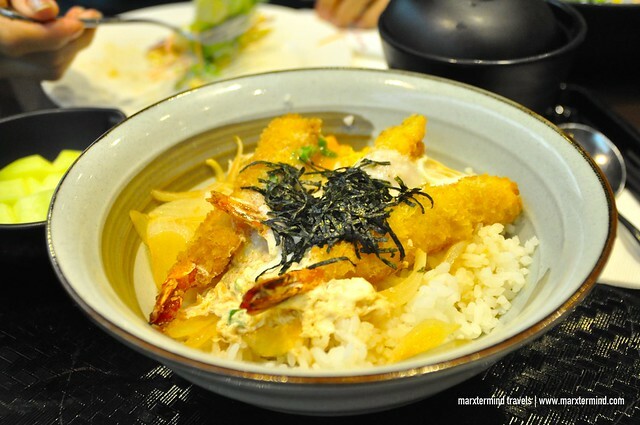 I settle for my favourite, Ebi Tama Don. It’s tempura prawn and onion. Our host ordered Tori Teriyaki Don, which is a grilled chicken with Japanese teriyaki sauce. 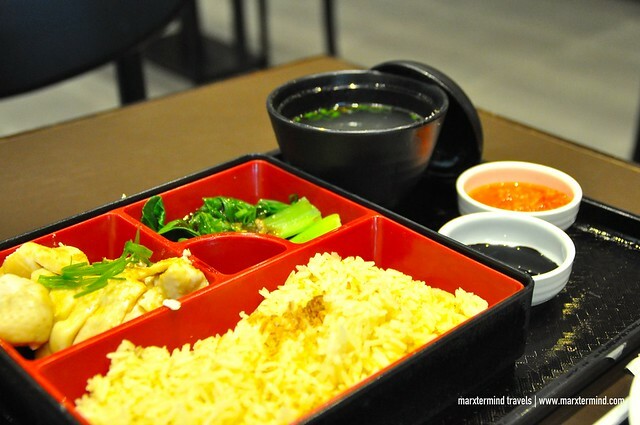 It costs RM 35 ($8) All these sets served with rice, fruits, appetizer and miso soup. We also partnered our meals with freshly squeezed juice. My friend and I had The Cooling Juice that is a mix of cucumber, celery, green apple and lemon. Each glass costs RM 13 ($3). I never liked cucumber but this tasted so good. It was pure goodness and refreshing. Before I boarded for my flight back to Manila, I was able to see some other facilities that Plaza Premium Lounge has inside the airport. I discovered that they also have spa and bar inside. They also have another lounge inside the departure area. 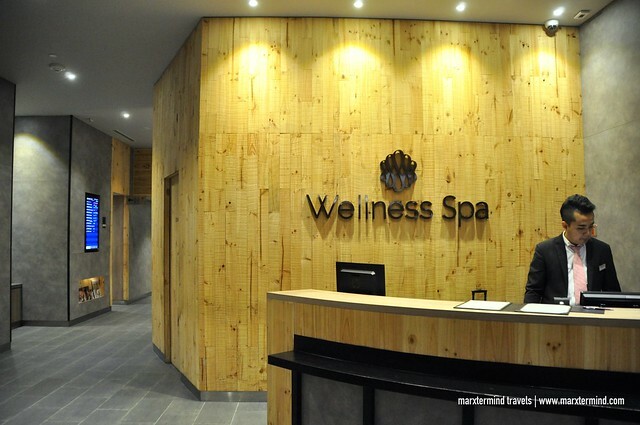 The Wellness Spa in KLIA2 is at Level 3 of International Departure. The facility offers a range of massage services. They also have comfortable seating area with food and beverages, multiple TV channels, newspapers and magazines and high-speed Wi-Fi. TheBar, which is just right across the Wellness Spa, also offers a variety of food and beverage including fresh squeezed juices and energy boosters, range of lager and beer, and hot and cold tapas. 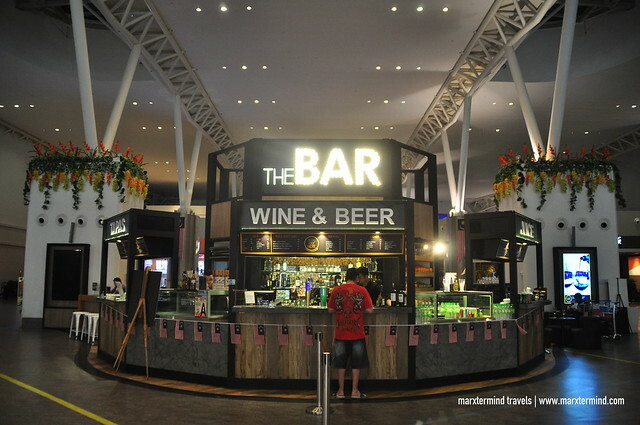 The bar consists of three main parts Juice Bar, Wine & Beer Bar and Tapas Bar. 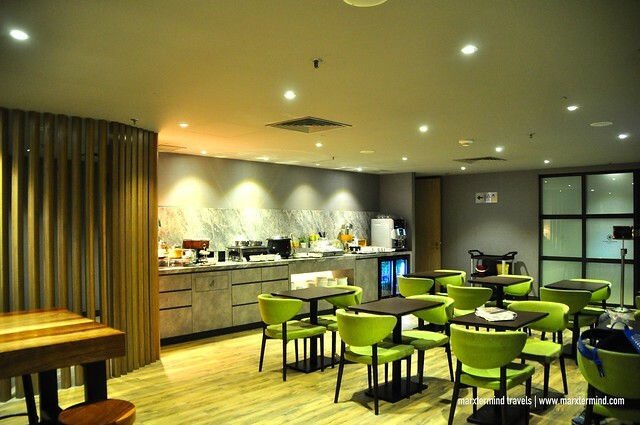 Plaza Premium Lounge at International Departure area in KLIA2 also offers amenities and services such as food and beverages, multiple TV channels, reading materials, Wi-Fi connection, and business centre service. The difference is that this one doesn’t have resting areas and shower facilities. I was glad that this one was nearby my boarding gate. I was able to lounge for a couple of minutes and had some snacks before my flight. Honestly, I never felt this comfortable while waiting for boarding. I think I won’t be getting out of the airport again during layover because of the range of facilities and networks that Plaza Premium Lounge has in KLIA2. 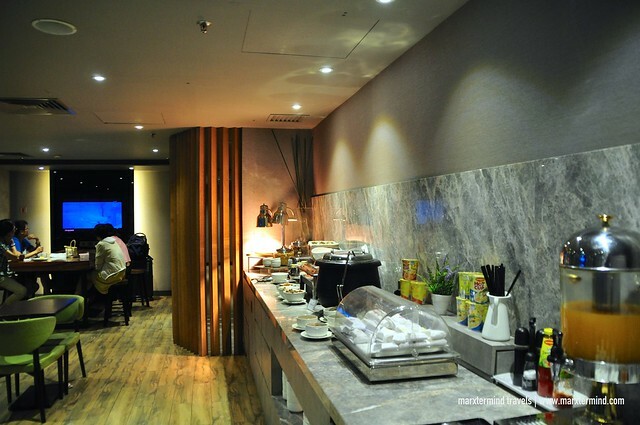 The lounge offers comfortable areas and enjoyable facilities enhancing traveller’s airport experience. Disclosure: Plaza Premium Lounge hosted our stay and food for the purpose of reviewing the lounge and restaurant. All notes and opinions are my own. From the title its self Premium Lounge. It’s really a premium class lounge. Thank you for posting this marxtermind.